Driving on road to the beautiful Pink City of Rajasthan, is often the way of travelling considered by most of the riders and cab rental services is opted for that. The one way services of Tixilo cab rental providers is recommended if you want to commute to Jaipur from Jodhpur in your upcoming vacations. We are amongst the best cab rental services providers and offer clean and well maintained one way cabs to our clients that are safe, reliable and available at pocket friendly prices. 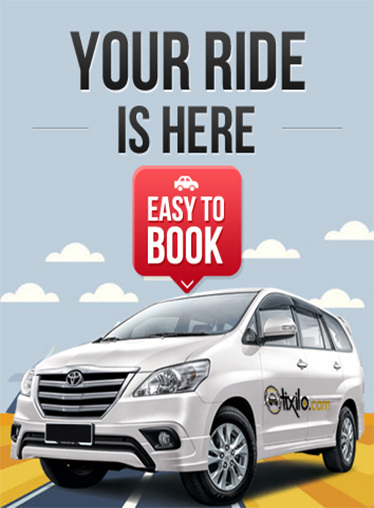 You can download the Tixilo cab app in your android phones for easy booking. Why a Tixilo hot one way from Jodhpur to Jaipur? The distance of 328 kms between Jodhpur and Jaipur is usually covered in duration of 5 hours. You, our customers, are our major priority, and this is what makes our car rental services stand out of the crowd. We provide a one-time pick up from anywhere in Jodhpur and one time drop to Jaipur at an affordable price. Tixilo cab rentals, have over a decade of experience of serving as a taxi rental provider with thousands of satisfied clients. Moreover, our rapidly increasing user base, speaks about the convenience that is offered to our customers. Here is a list of advantages of hiring a cab rental at Tixilo Car Rentals for your one way travel from Jodhpur to Jaipur. · Offer hot one way, local and outstation services at affordable prices. · Safe and comfortable travel. · Large fleet of cars. · Day and night services. · Options of flexible payment. · Skilled and experienced drivers.